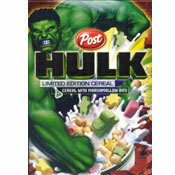 This cereal is quite good. I just wish it was as awesome and exciting as the box wants you to believe. There's a vague flavor of s'mores, but I think a lot of that is influenced by the name of the cereal. If they called the cereal Cocoa Cream Krave, I would have easily accepted that as the flavor. To capitalize on the s'mores taste, this cereal needs more of everything: more graham flavor in the outer shell and definitely more chocolate and marshmallow filling. If you crack open one the cereal pieces, you'll see that it has one quarter of the filling alluded to on the box. 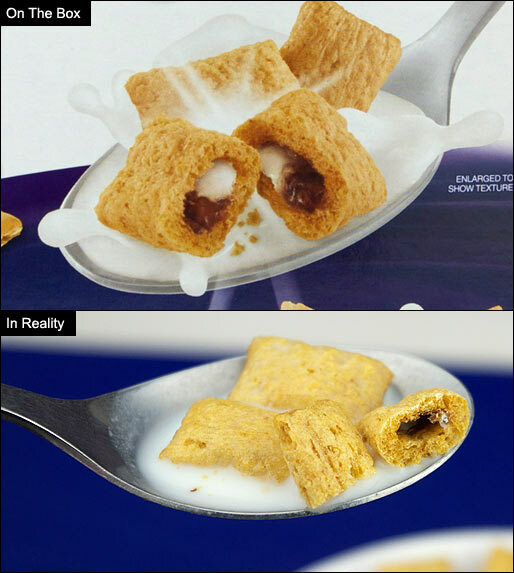 The earlier U.S. varieties of this cereal - Chocolate Krave (2012) and Double Chocolate Krave (2012) - suffered from the same misleading marketing. The texture of the cereal is terrific. It's lightly crunchy on the outside and soft and partially hollow in the center. Each piece feels somehow more meaty than other cereals with no texture differential in the pieces. I guess it comes down to this: After I finished a bowl of S'mores Krave, I actually "craved" another bowl. That means they're doing something right. It's just that they could be doing it better. Nutritional Considerations: Each 3/4 cup serving has 120 calories, 3.5 grams total fat (1 gram saturated and 0 grams trans), 0mg cholesterol, 105mg sodium, 24 grams total carbs, 3 grams dietary fiber, 10 grams sugar and 2 grams protein. 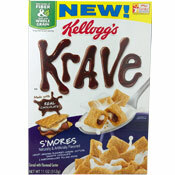 What do you think of S'mores Krave?